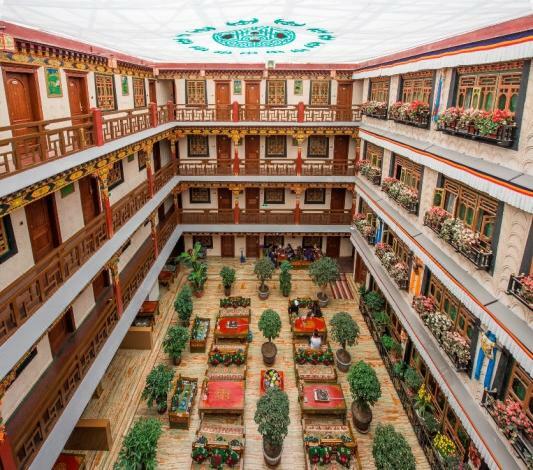 The Zhaxi Quta Style Hotel is a great choice for guests looking for accommodation in Lhasa, having been recently opened in 2016. The hotel is only 9km from Lhasa Railway Station and 60km from Gonggar Airport, giving guests a number of convenient transportation options. There's plenty to do nearby, with Ramoche Temple, itibet travel and Jokhang Temple all within a short distance. In their spare time, guests can explore the hotel's surroundings. If you demand a high level of service, our guests have indicated that this hotel has excellent standards. This hotel is a popular accommodation for groups of friends traveling together.